The fact that Larry and I have been relatively healthy in our lives makes moments of sickness or times of surgery even more difficult. 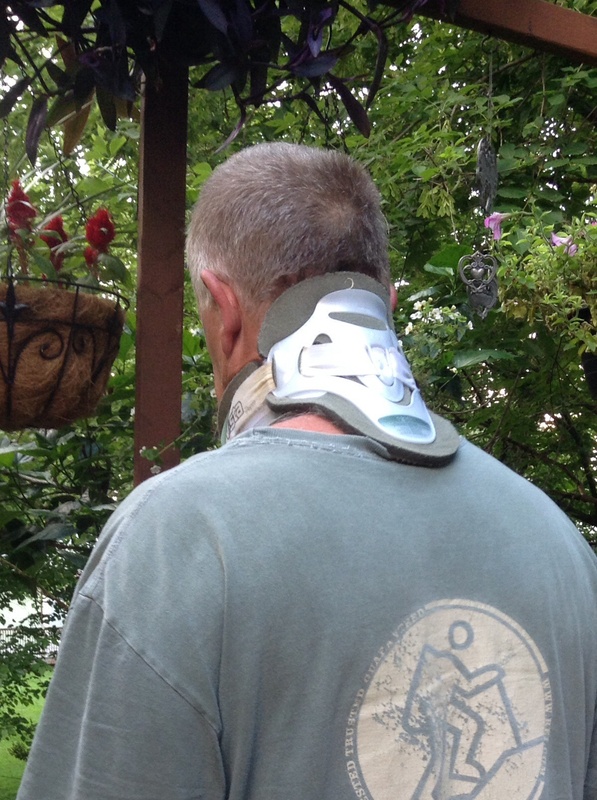 Larry has undergone numerous surgeries on his knees, shoulders, neck, back, etc. I was happy we had good insurance as teachers. Unlike most wives, I would drop him off at our local hospital and while he was being wheeled into surgery, I would take off to my teaching job or go cross county skiing around the hospital. This didn’t bother Larry at all since we both like to make the most of our time. You may wonder how Larry tore his body apart. He was a contractor for many years and he has had bicycle and ski accidents. But like the resilient bunny in the Duracell commercials, he always rebounded quickly. One time he was scheduled for surgery when I got a call from my friend, Cleora, telling me she was at the hospital, too. Her husband, Keith, was being tested for heart problems. That morning we enjoyed a cup of coffee together in the dining room of the hospital and laughed that both of them were in the hospital at the same time. Fortunately, none of these episodes were life threatening. But there are times when Larry and I need each other desperately. I’ve lived my life actively enjoying biking, skiing, and mountain climbing. The only surgery I had was having my tonsils out at 9 years old. Surgeries are Larry’s department. I have been very fortunate. But on Martin Luther King’s birthday in 2017, I went out to start the van and defrost the windows for my dentist appointment. It was one of the few icy days we had and I slid down our driveway and fell right on my shoulder with all my weight. I had fallen years before in a biking accident and dislocated the same shoulder. I came in withering in pain and Larry was a great comfort. Now I have a torn rotary cuff and the prospect of surgery is scary for me. The thought of not riding my bike, not playing the piano and being without a right arm for up to 6 months is terrifying for me. So I have been learning to live with physical therapy and without surgery. But I think the time will come and when it does, I know Larry will be there for me and I’ll be more understanding of all he has gone through. What are the lessons learned here? That when you take a marriage vow, it’s in sickness and in health. It means to be there for one another no matter what. We have learned over our 48 years of marriage to be servants to one another. Larry has never made me feel inferior being a female. It has never been about our roles as husband and wife. It has been about love and respect for the talents and abilities of each other and what we can do to build one another up to be productive human beings. I’m a better person because of Larry and he is a better person because of me. We both look to God for insights and wisdom in sickness and health. I wish that for you in a marriage relationship or in relationships with friends. Previous PostIs the Resurrection Fact or Fiction?Next PostAre You a Good Listener?